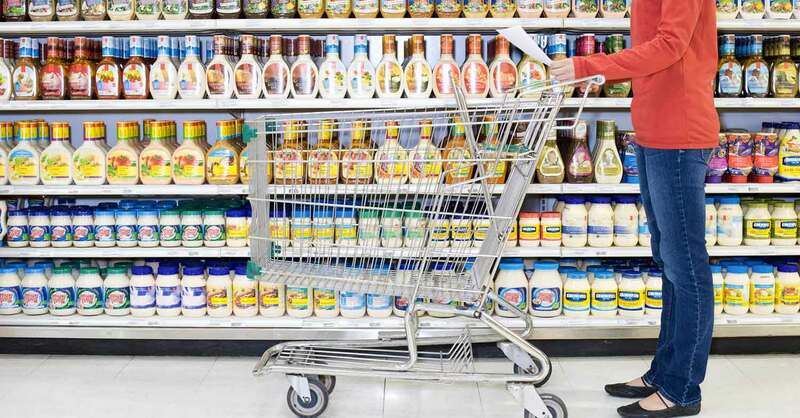 You round the final corner of the dairy aisle and roll your overflowing grocery cart toward the checkout line. As the cashier scans each item, you keep an eagle eye on the register and watch the total climb. The last item glides across the scanner, and boom—you stayed on budget! But you start to wonder if you can find ways to spend even less on groceries than you already are—especially since you need to start saving for your fun summer plans! Even if you could shave $50 out of your food budget each month, you could easily save up an extra $200 to put toward that family vacation to the beach or a new spring wardrobe. That’s why we asked our EveryDollar budgeters to share their best money-saving tips for grocery shopping. Menu plan and shop only for what's on the list. When making the menu, plan for leftovers at lunch. I repurpose the leftovers into a new meal (grill chicken fajitas then make chicken tortilla soup with leftover chicken). If meat is on a great sale, we typically by 15 or 20 pounds of it. It may be expensive at first but it helps a ton later. 3. Stick to your list. Know what you want, make a list, and don't pick up anything not on the list. We make a trip a week to the grocery store and take cash. When the money's gone, you're done for that trip. Coupons can cost you more than you expect, so watch out. Just because you have a coupon doesn’t mean it’s a good buy or you need it. Shop online and pick it up curbside. You can avoid the temptations throughout the store, and you know exactly what your total is before you check out. 6. Make a weekly meal plan. Weekly meal planning! We only shop once a week. Sometimes I do need to go back for bread or milk but that's it. We eat exactly what is on the menu. This also helps keep us from throwing away leftovers or forgotten produce. 7. Track your costs as you shop. Shop with a calculator! Add up purchases and stop when you’ve hit your budget. 8. Keep household purchases separate. Be sure to put things in the household category if that's what they are. Don't use grocery money to buy toilet paper and shampoo, or you'll be eating Ramen all week! 9. Go easy on the meat. Simple meals tend to cost less: soups and stews, main dish salads, and crockpot meals. And don't let meat be the entrée for every meal; there are many other ways to incorporate it into healthy dishes. And cook from mostly whole foods. That will lower your costs right there. 10. Get your hands dirty. Growing your own veggies and berries saves a ton in the summer! If you’re already doing a fantastic job with your grocery budget, congratulations! But if you’re interested in saving a little more money or you just want to see if you can squeeze those numbers a little tighter, give some of these tips from real-life EveryDollar budgeters a try. And let us know how it goes. We want to hear what works for you! Sign up for EveryDollar today and create a grocery budget that helps you eat well and win with money! It takes less than 10 minutes!